Charlap Hyman & Herrero contributed Song of Saint James to 24x24x24, a 24-hour group exhibition centered around seating by design firms and artists. Each participant had a 1-hour time window to show their work and have interactive programming in Storefront for Art & Architecture. 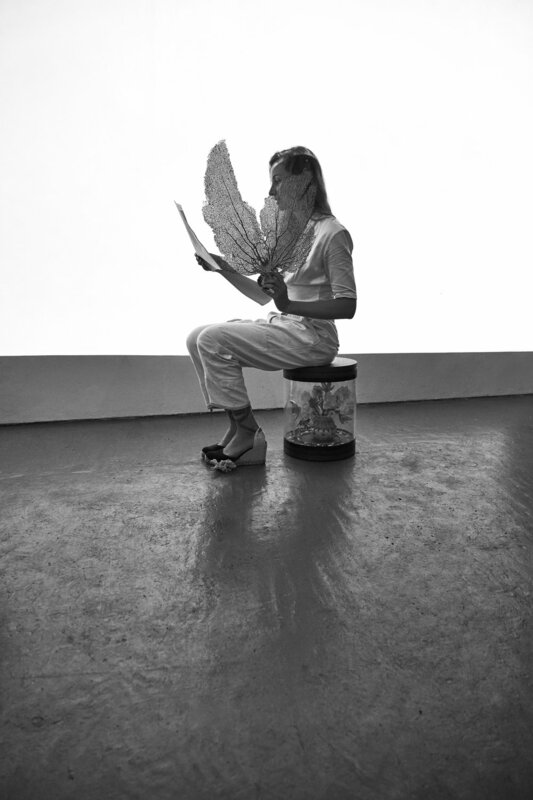 Using the piece designed for the installation - a shell-inspired stool entitled Fleurs au Coquillage - as a jumping-off point, CHH collaborated with artist and curator Emma McCormick-Goodhart to transfigure the gallery space into a conceptual grotto of sorts. Renowned choreographer and media artist Jonah Bokaer interpreted the oyster choreographically, while McCormick-Goodhart voiced a spoken-word piece on shell formation. Sections from Jean Painlevé's and Geneviève Hamon's film Acera (1978) were screened, while trays of escargots were prepared in-situ by chef Sarah Rhodes. 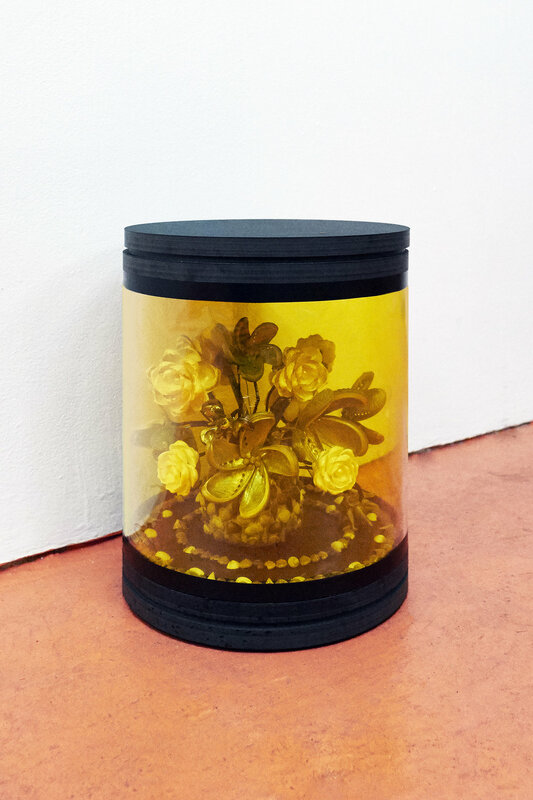 CHH's stool is an amber-colored acryllic tube, encasing a bouquet of shells arranged to resemble flowers in the Victorian tradition of fleurs au coquillage ("flowers of shells").